1. Make a ice cream sundae snowman- from Gordon Gossip. 4. 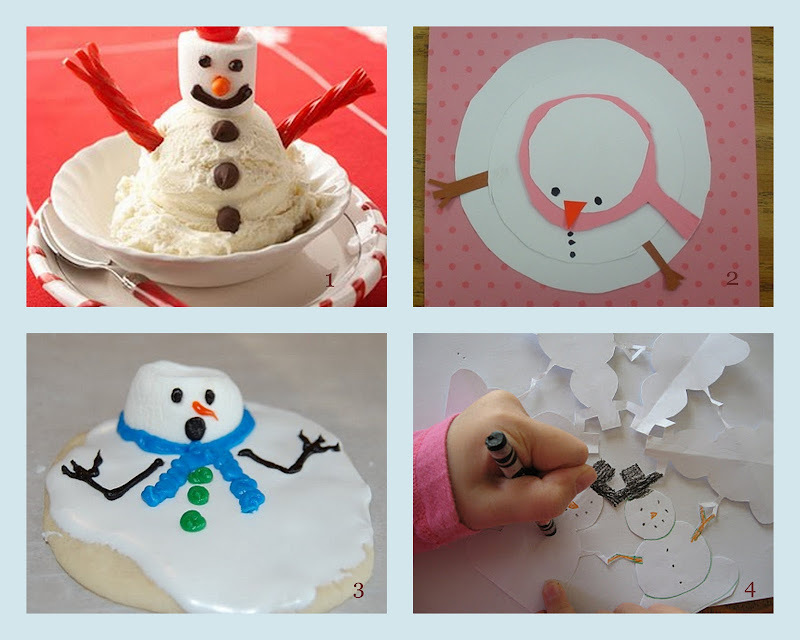 These snowman snowflakes from Almost Unschoolers are easy and so appropriate!